A view from near Bowmore towards Port Charlotte on late October afternoon, not long to go until sunset. Some of the thousands of Barnacle Geese wintering on Islay have come in for the evening roost on the mud flats at the top of Loch Indaal. 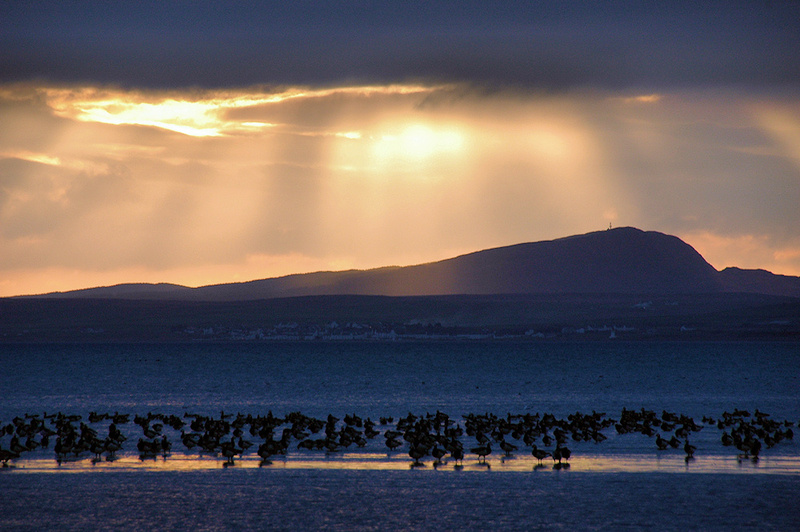 This entry was posted in Cloudy Weather, Landscape, Lighthouses, Repost, Sea Loch, Sunny Weather, Sunset, Village, Wildlife and tagged Barnacle Geese, Bowmore, Islay, Loch Indaal, Port Charlotte by Armin Grewe. Bookmark the permalink.